We were discussing the basic concept of spring in strength of material, various definitions and terminology used in springs, importance of spring index and expression for maximum bending stress and deflection developed in the plate of leaf spring in our previous posts. Today, we will find out here the basic difference between open coiled and closed coiled helical spring with the help of this post. 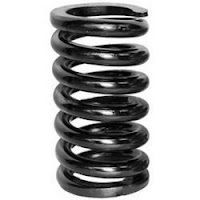 Helical springs are usually used in number of applications due to their shock absorption and load bearing properties. We will see here two types of helical spring i.e. 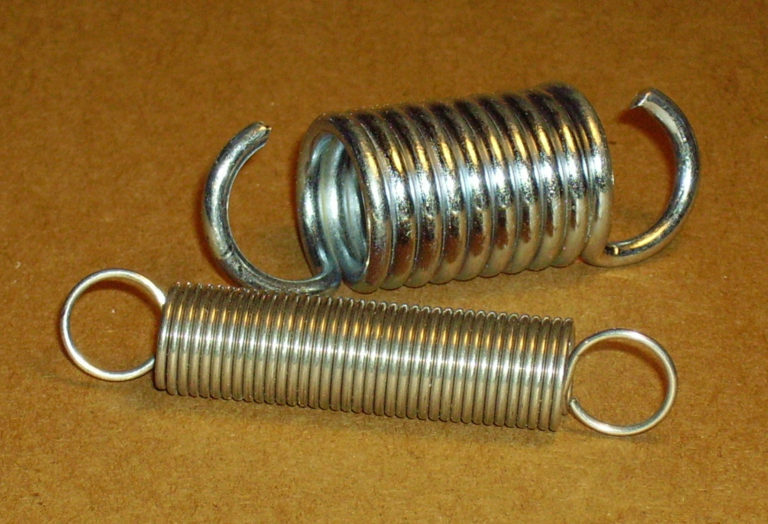 Open coiled helical spring and closed coiled helical spring. Open coiled helical springs are also termed as compression springs as such springs are designed to resist the compressive load. In simple, we can say that open coiled helical springs are those springs which are used in such applications, where compressive loads are present. In case of open coiled helical spring, spring wires are not wound tightly. Hence such springs will have high pitch. There will be large space between two consecutive wires of open coiled helical springs and hence, no two turns of a open coiled helical spring will lie in same plane. In case of open coiled helical spring, turns or coils of such spring will be located at inclined angle towards the helical axis. In case of open coiled helical spring, helix angle will be more than 100. In case of closed coiled helical spring, spring wires are wound tightly. Hence such springs will have very small pitch. Closed coiled helical spring wires are very close to each other and hence, spring turns or coils will lie in same plane. In case of closed coiled helical spring, helix angle will be less than 100.